The most important aspect to any sport educational program is the coaches. Each summer we are extremely proud of the high caliber of the coaching team we create. Our enthusiastic and dedicated staff are willing to go on tour and drive hundreds of miles to visit local communities and home fields. 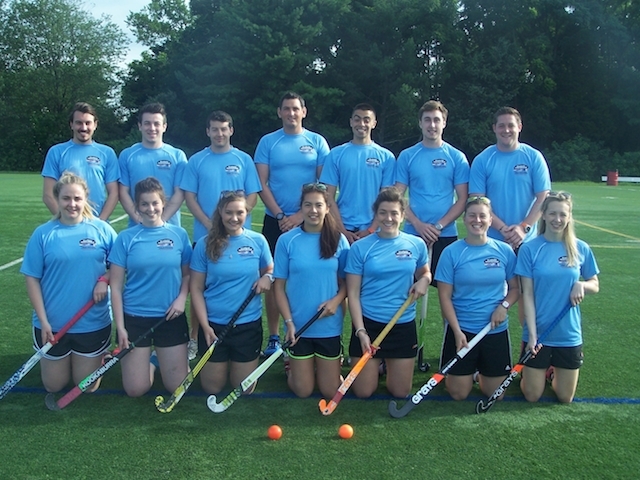 The AI staff feature acclaimed players and coaches from Britain, South Africa, Ireland, Spain, and Holland. They travel the USA to share their knowledge and experience with players and with the local coaches. Furthermore, our coaches possess either national team, collegiate or premier club level playing experience and can boast numerous accolades. This is the pedigree of our staff! They will come to you and inspire your team! To ensure customize training we begin with a Pre Camp Analysis with local high school coaches. Usually conducted the evening before camp, this meeting is used to discuss coaches needs, goals and objectives so a tailored training program can be devised. Below is an example of our curriculum and the camps we offer. To ensure a high level performance training camp, only returning Varsity level athletes and players invited by the local coach can attend this intense program. An AI coach will be assigned to each team and a comprehensive week long training camp will focus on advanced skills and ‘real game like’ activities which will culminate in daily full-sided scrimmaging. Feedback to high school coaches will be immediate in this 4-hour a day, 5 sessions a week program. This camp is available to all players within the community. Middle school to Varsity level players are welcome to attend this 3-hour a day, 5 sessions a week camp. With the local coaches help we will divide players into coaching teams based on skill level then age. These camps usually feature beginners to advanced level players so the AI coaches will adapt their training methods accordingly. All aspects of the game will be covered and feedback will be given to local coaches on daily basis. This camp is often run in conjunction with a Multi-School Varsity Only Camp. Next generation middle school and JV players are invited to attend. Players from beginner to intermediate skill levels are placed into appropriate coaching groups. An AI coach is assigned to each team and players then participate in skill development focused activities and small sided games. This will enhance maximum ball contact and create enjoyable learning opportunities. The AI Field Hockey Curriculum is always customized in each community based camp we implement. Within our curriculum we have a tremendous reputation for enabling players to excel in a dynamic, challenging, safe and enjoyable environment.